How to Prepare for IIT JEE: The National Testing Agency (NTA) ) conducted JEE Main 2019 April Session between April 7 to 20. This JEE main examination is being held completely in computer-based mode. Candidate needs to Score high for admission to many top Engineering Colleges. 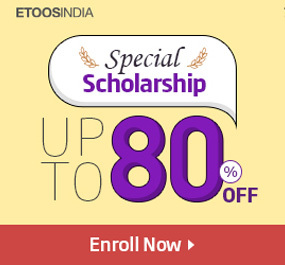 Now Etoosindia is Online Platform Offer jee main previous year question paper with solution pdf, which is available in Free of Cost. 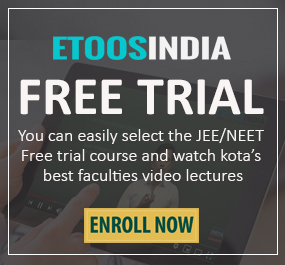 These jee main previous year question paper Solved by The Kota’s best faculties. Experts suggest to Student Solve the Previous Question paper because these help you get the basic idea about the Question type & Exam level. Benefits of Solving JEE previous year Question paper. Solving JEE Main previous years Question papers will help Student to understand the level of Exam & Question type. You can check your level of preparation for the Exam by Solving the jee main solved papers. You will gain a good speed & Accuracy by Solving as many Previous Question paper. Solving previous year jee mains question paper Help you to Boosts Confidence. When you do mistakes, you learn from them. Hope the above information helps you in cracking JEE 2019. All the best!